Alice Mule is probably the most best known and beloved style from Robert Clergerie. The style is a great proof of Clergeries ability to reinterpret classics. The design in Alice shoes combines the essence of dressed masculine style which is balanced with relaxed open back and venetian style vamp. 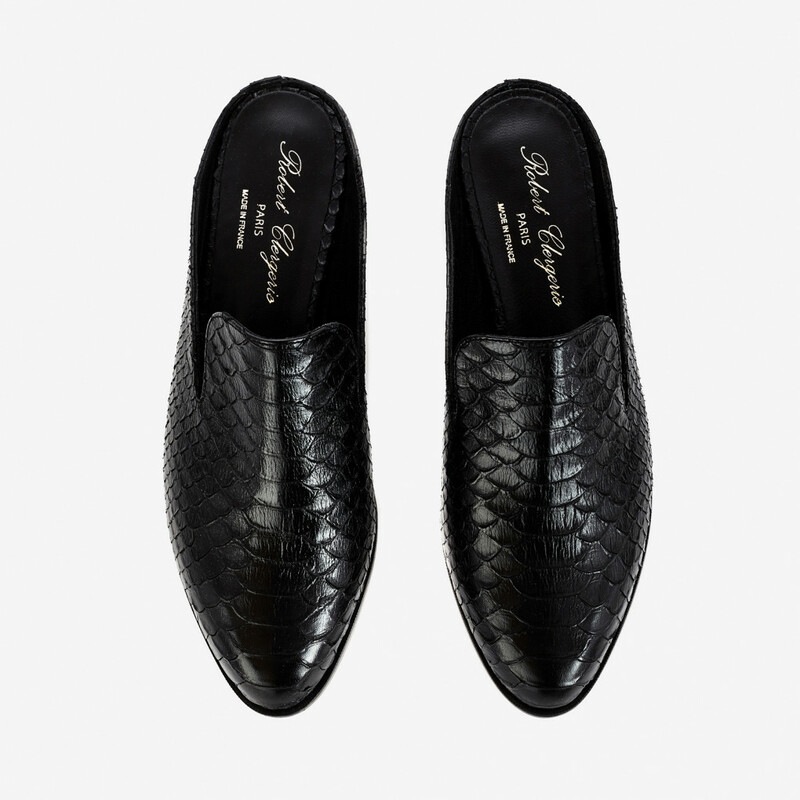 The shoes are crafted in France of crocodile-embossed black calf leather. Stacked heel, soft leather lining, slightly padded leather insole and leather outsole ensures the comfort for the whole day. Approximately 25mm he. Read more..
1 x Alice Mules Crocodile was added to your shopping bag. 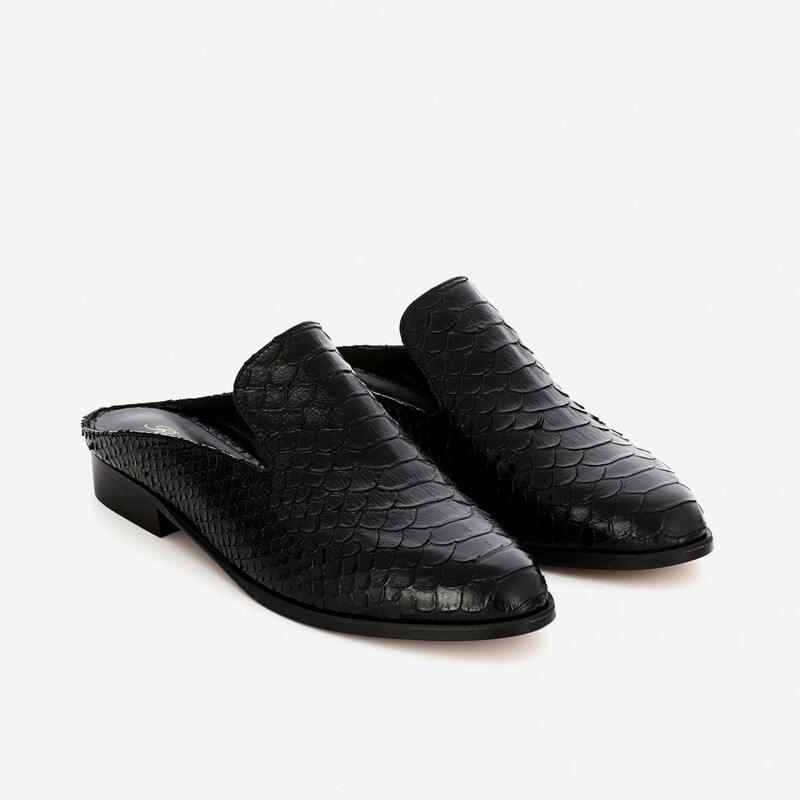 1 x Alice Mules Crocodile was added to your wishlist.